From the great classics to world class virtuosos and some of the most popular names in music the Adelaide Symphony Orchestra is making music that has world impact. Known for its artistic excellence and remarkable playing, the orchestra is working in sync with its home city, Adelaide, South Australia, where the arts are a way of life. In its seventy-third year of music making, the Adelaide Symphony Orchestra celebrates several milestones including the union its musicians share with Chief Conductor, Arvo Volmer. The orchestra’s 2009 Season will signify not only Volmer’s fifth year at the helm of the ASO but also cement his musical influence through the continuation of Adelaide’s first Mahler symphony cycle. The orchestra regularly works with some of the world’s leading conductors including Jeffrey Tate, Asher Fisch, Markus Stenz, Matthias Bamert, James Judd, Kristian Järvi and Simone Young. The Adelaide Symphony Orchestra frequently presents new compositions by the likes of John Adams, Thomas Ades and Tonu Korvits. The orchestra also maintains a commitment to Australian music through performing the works of such composers as Peter Sculthorpe, Ross Edwards, Richard Meale, Brett Dean and Graeme Koehne. The ASO continues to go from strength to strength, with tremendous box office growth in recent times as a result of innovative programing and its ever evolving Showcase Series. The orchestra has collaborated with Tony Bennett, Nigel Kennedy, Andrea Bocelli, k.d. lang, Burt Bacharach, Herbie Hancock and hip hop artists Hilltop Hoods. Season 2009 will see that list expand to include legendary figures such as José Carreras, Pinchas Zukerman and Roberta Flack. 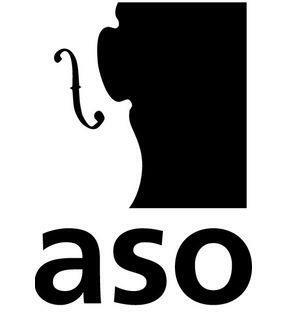 The ASO prides itself on its community reach. With the support of its Principal Partner Santos the orchestra presents its annual Santos Symphony under the Stars. A cultural icon, Santos Symphony under the Stars is Santos and the orchestra’s gift back to the South Australian community. In 2009 the event celebrates its tenth year anniversary. 2009 also marks a new era of collaboration between these two iconic organisations as Santos becomes the most significant sponsor in ASO history. The ASO’s ETSA Utilities Education Series is raising the bar on education performance in South Australia. The series commissions Australian composers to bring classic literature pieces to life through music. With an average of 10,000 people attending a performance each year the 2009 series will present the world premiere of Li Cunxin’s life story, The Peasant Prince with direction from Australia’s Graeme Murphy. The ASO has also established itself on the world stage through the international acclaim achieved through the recent Melba Ring cycle recordings American, Robert Levine, of the prestigious bulletin Classicstoday.com says that the recording showcases ‘...some of the most remarkable playing I’ve ever heard...’. In 2009 the international acclaim continued with the orchestra’s tour of America in January 2009, which saw the orchestra perform as part of the G’day USA celebrations at New York’s famed Carnegie Hall in addition to a concert at the Royce Hall, Los Angeles.